We all know about the activity trackers that monitor our activity on land. How about on the water? 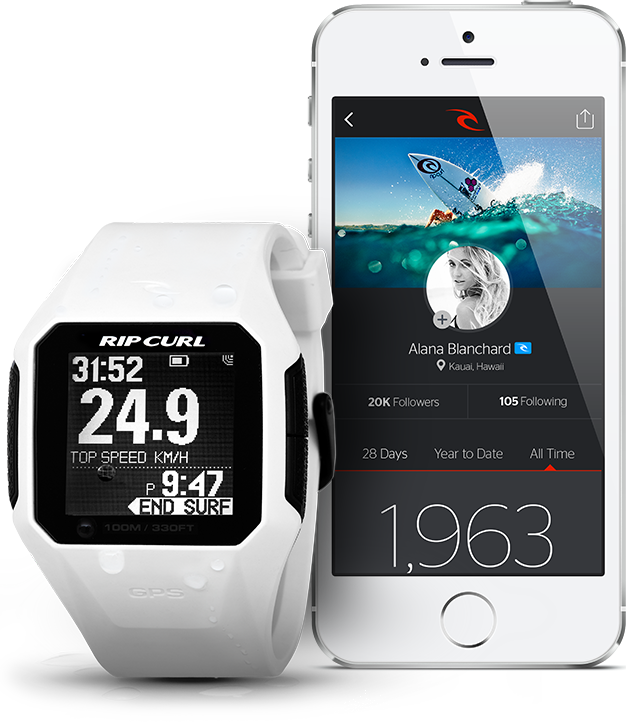 Soon you’ll be able to with Rip Curl’s Search GPS Watch. It will keep track of how long you’ve been surfing, your top speed and distance, and wave count. Once you’re out of the water, easily sync your data with your iPhone, iPad, or desktop computer. Then you can check out all the details of your day or brag about that massive wave your rode!